I knew from the start that today was going to be a mental battle. Since tomorrow I'm leaving for General Conference at 7:20, I decided to preserve my sleep by running long today, which worked out OK anyway since we worked out on Monday and Wednesday. The problem is that this was the first time I've run on my own since I've been here, and it is seriously SO nice to be able to run with a pack. Luckily I ran into Ben Johnston (who is transferring to Utah State) and a kid named Scott who used to be on the team, so we ran together for four miles or so before they turned around. Unfortunately the first four miles are always the slowest that wasn't too helpful. 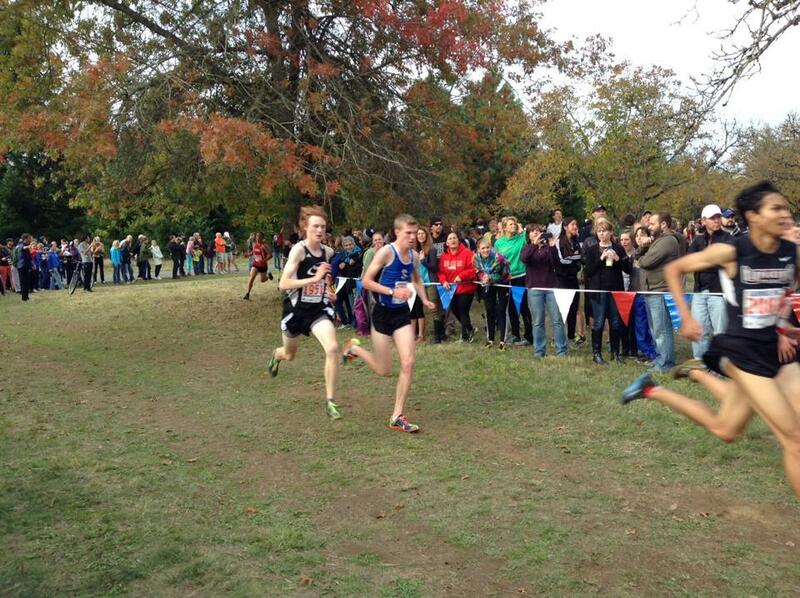 However, I surprised myself by being able to get into a really nice rhythm on the way back, and I got a PR of 88:28! That's 5:54 pace! To do that on my own was pretty cool. I did 6:12s on the way out and 5:36s on the way back (remember the uphill is on the way out). Hobble Creek Canyon today... Yikes. I did really well last time, but wasn't so happy about this round, even though I PRed. I got 49:08, which is a bit under 6 minute pace and a minute faster than last time (50:07), but conditions were perfect today (cloudy but no rain, and even a bit of a tailwind) so I really should have been more like 48:30 on the 8.2 mile, 850 foot elevation change tempo. Oh well. Weights. Weird workout today... We went to Lowe's Air Sports and did a "workout" there. It was tough but it wasn't anything like a real workout. I was glad though because I've been pretty tired and my knee has been hurting. 10 miles with tanner since no one else showed up. 6:50 pace.